The Essene Archetype is a very intriguing, inspiring ideal. They were and now are the frequency of enlightenment for the transformation and healing of self and the planet. The ancient Essenes were historically recognized as the mystical Jewish prophets of the desert. They considered themselves, in their terms, “the holy ones of God”. It is no accident that the term Essene comes from the Northern Aramaic word chasya, which means saint in Greek, which was the way they were perceived by the general population. From the time of Hannokh they were also known as B’nei Aliyah, the children of ascension. Many of the early Jewish followers of Jesus were also Essene; it is also strongly suggested historically that Mary’s parents (Joachim and Anna), Jesus’ parents (Mary and Joseph), his brother James, and John the Baptist were also Essene. In 2007, at an Easter talk, Pope Benedict XVI acknowledged that the home where Jesus had his last meal was an Essene home, and his second volume of Jesus of Nazareth (2011) mentions the Essenes in general and in specific in the context of Jesus’ “Last Supper”. This suggests that Jesus was clearly associated with the Essenes. If he was not formally trained as an Essene as some historians suggest, he was at least close to them in some spiritual and lifestyle alignment. The Essene existence is first mentioned about 500 B.C., after the fall of the First Temple in 586 BC, in Pythagoras’s biography, where he studied with them on Mt. Carmel and came down enlightened and as a teacher of live foods. These were called the Galilean Essenes of the north, where Jesus came from. The Galilean Essenes were also given the name Nazarenes, as was Jesus. 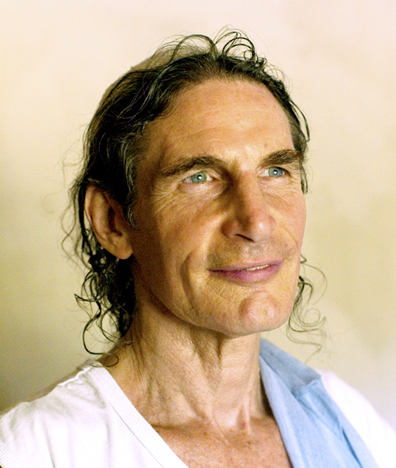 The current leader of the Modern Essenes is Rabbi Gabriel Cousens, MD, MD(H), DD, Diplomat Ayurveda, Diplomat American Board of Holistic Medicine. Since the time Rabbi Cousens became the leader of this movement, he has added the Six Foundations and Seven-fold Peace, which encapsulate the Great Torah Way of enlightenment. This allows people to follow the way without being Torah scholars. We consider ourselves, because we actually follow the primordial teachings of the Essenes as doers of the Torah adhering to a vegan, live-food, drug-free lifestyle, as an authentic Essene expression. The Essenes lived in various communities all over the Middle East. They totaled in number between 4,000 to 10,000 people. This included the Qumran Essene community, which began in 186 B.C. near the Dead Sea. There were also Essenes at the Sea of Galilee, Mt. Carmel, in Egypt at Lake Mareotis, as well as in the areas that are now known as Lebanon and Damascus as early as 100 – 500 B.C. These Essene groups, which resided all over the region, had slightly different styles according to their local culture, but shared the basics of Essene life and spirituality. They believed in creating a lifestyle that would support the human transformation into a whole and healthy life. They were noted by the historian Philo, for their focus on living ecstatically. Even though there was some variation between the groups, they all had a mutually agreed upon foundational way of life, which is why they were so well known and respected. The Essene Way included a strong adherence to the Torah teachings, and the practice of a weekly Shabbat or Sacred Meal. The Torah was used as a guide to higher consciousness and enlightenment and also used as a guide for how to live practically, morally, and ethically in the world to heal themselves and the world. They lived strictly and honorably by these ethics. Historical evidence strongly suggests that the vast majority of the Essenes adhered to a plant-source-only and/or live foods diet. The Essenes lived naturally, in tune with the environment and were noted in the different regions where they lived for healing, their industriousness, gardening and agriculture, and for their righteous, mystical, and prophetic abilities they brought to their daily life in regard to the people around them. They truly were an uplifting inspiration to the rest of the Jewish community. The seed of the Modern Essenes today was activated by Dr. Edmund Bordeaux Szekely in 1929. The foundational Modern Essene guidelines, as they did in historical times, include a focus on the great Torah Way of life and liberation, the weekly Shabbat practice, live-food veganism, reestablishing our place in the sacred planetary ecology, and no drug use. The primary focus of the Modern Essenes today is a God-centered, ecstatic enlightenment, as was the inner circle of the Essenes in ancient times. The Modern Essene Way is a way of liberation that goes beyond egocentricity and ethnocentricity to a world/God-centric orientation. To call oneself a Modern Essene today requires spiritual warrior activism and an alignment with the core essence of the Modern Essene lineage, which can be traced back to the time of Adam, Enoch, and the Melchizadek Brotherhood of ancient times. 1) Sh’ma Israel Adonai Elohenu Adonai Ehad – God is One and many. 2) Teshuva – Return to God by changing one’s ways to the ways of God. 3) Tikkun ha Olam – Actively participate in the healing and transformation of the world. 4) Shalom – Living by the Sevenfold Peace, which helps lead to the ultimate peace of self-realization. The Modern Essenes today, as in the past, are involved in the practice of creating peace by being peace. In essence they serve as an inspiring spiritually evolutionary vibration rate. In this way, the essence of our lifestyle is aligned fully with the ancient Essenes. An emphasis of the Modern Essene Way, as they were historically, in this world of darkness and chaos is to be a light by our living example, to the nations. The one difference is the Modern Essenes today represent a mix of people from all different cultures and religious backgrounds that choose to follow this way of life. So, at this point in history we represent a synergy of the Jewish, Christian, Yogic, Taoist, Buddhist, and other traditions. The Modern Essenes also have created a lifestyle clarified by Rabbi Cousens, MD, MD(H), DD, focused on enlightenment, which are the Torah teachings condensed into the Six Foundations and the Sevenfold Peace. 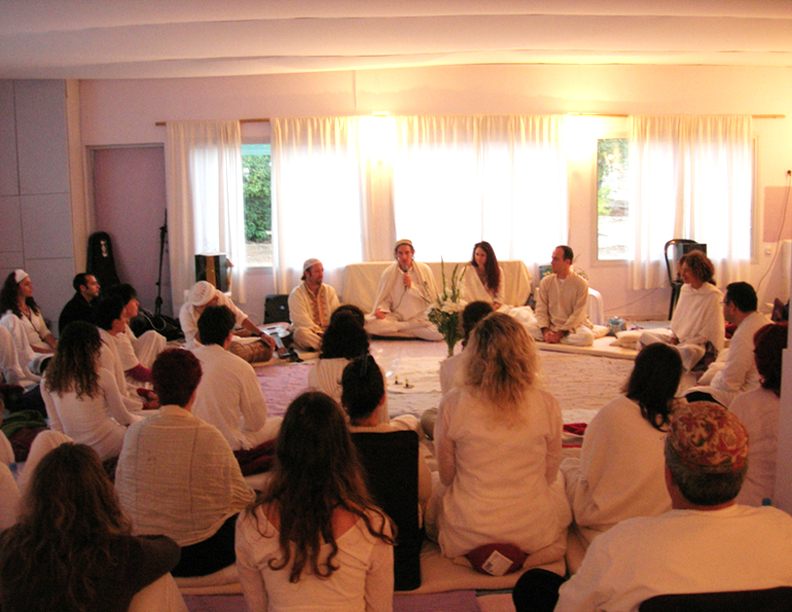 For a direct experience of the Modern Essene Way, you are invited to attend the following courses at the Tree of Life.